Review: Well, this is an absolute Klockworks takeover this week, and its clear that Mr.Klock himself is making a bit of a statement! 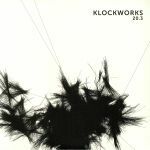 This is the third episode of the new Klockworks compilation series, each one of these releases bound together by a similar artwork and, of course, a mutual love for sleek, direct techno for the mind. Newbies Jay Clarke and Ritzi Lee ride on the A-side of this double-pack, both offering a dusty procession of calculating techno, while the B-side is dominated by Reus' tenebrous "Acid Mono" and High Position's hard-hitting, dub-leaning "Cops". The second disc kicks off with Yokol's dreamy patterns through "Dense", followed by the dark and bass-heavy groove of Adam Craft. Vincent's "How I Feel" closes off the compilation with a comparatively more soulful piece via "How I Feel", a melody-rich house-techno hybrid for the masses.